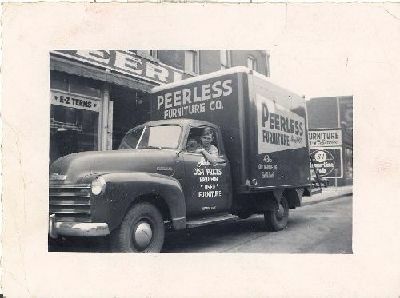 OUR STORY: Peerless Furniture first opened the doors in E. St. Louis in 1907. Through the years the company has responded to the needs and fancy of our customers. In 1940, we carried one style sofa, the fabric was mohair and you could choose from red, green or blue. Oh, how times have changed; our Leather Gallery alone offers over 238 colors of leather. In 1973 Peerless moved from E. St. Louis to it's current location in Fairview Heights. Now in it's 4th generation of ownership, we are comitted to the latest trends in home fashion, as well as the items every homeowner can't live without. We recently remodeled our store and now you can enjoy the benefits of professional interior design, included at no charge with your qualifying purchase. You will also find traditional favorites; great quality at values that will surprise you. We haven't forgotten our roots. Come in and see why this locally owned and operated business has thrived through four generations. Then, experience why our customers are still loyal, the superior service before - during - and after every sale!